Welcome to my favorite day of the month, amazing friends! 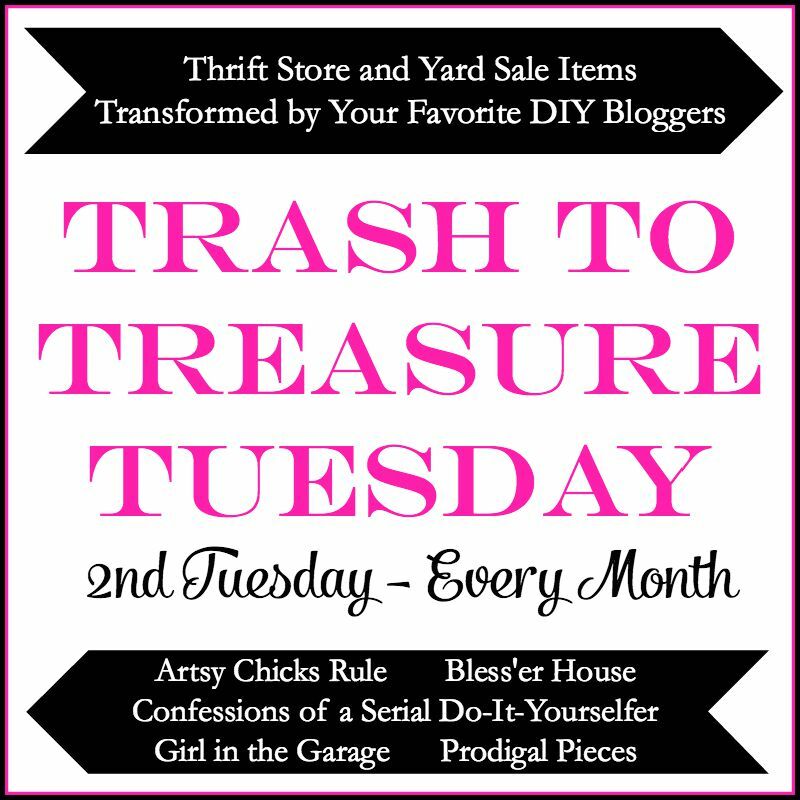 It’s Trash-to-Treasure Tuesday and my friends and I are all sharing trashy makeovers! I love it when I actually have trash to share. That poor baby. He’s like…no big deal, just a giant bed hanging over my head. There actually was a headboard and a footboard. 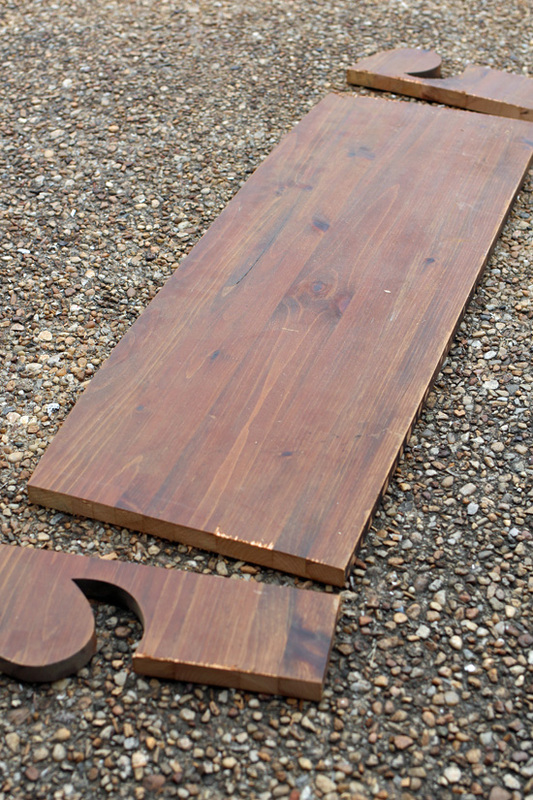 My initial plan for these pieces was to cut the center panels out and make signs out of them. In one of my big purges I decided to let the headboard go since it was really just too big and super heavy, and had water damage anyway. I’ve included a few affiliate links so you can find the products I used. I kept the footboard and I finally did something with it. 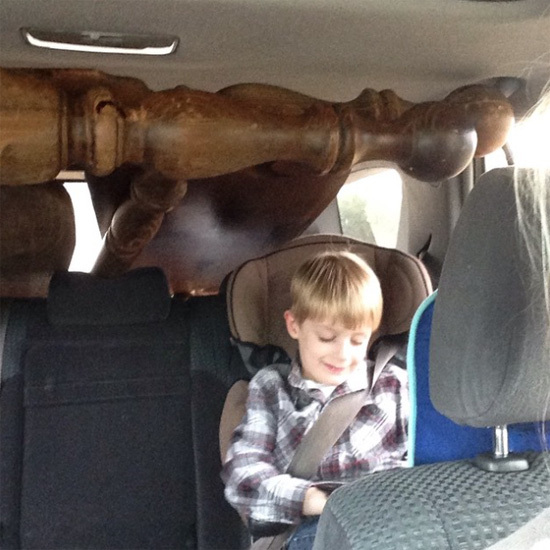 Trash to treasure = free decor!! The sign was also trash, a fence picket I picked up from a discarded pile of fencing. 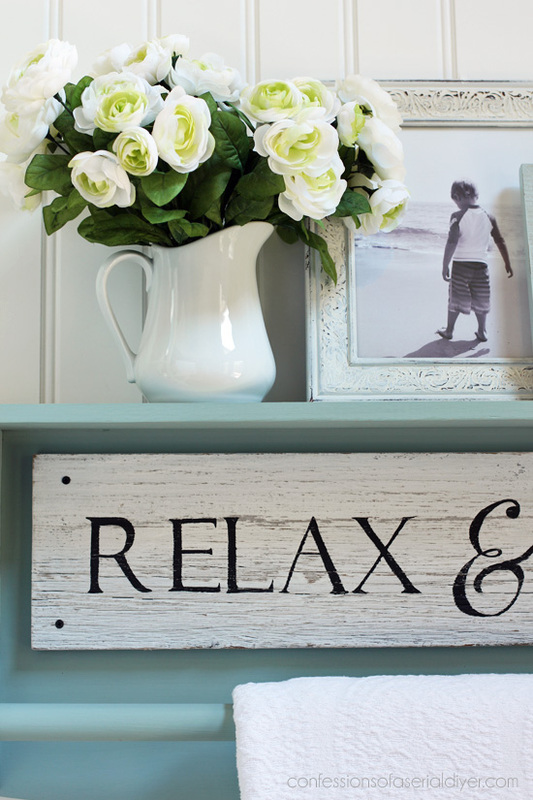 I used this transfer method HERE to add the letters to the sign. Then I painted them in with acrylic craft paint using a script liner brush. The sign got one coat of Behr’s Bit of Sugar and a light sanding. I lightly sanded again after adding the letters, and sealed with a spray matte sealer before attaching to the quilt rack. 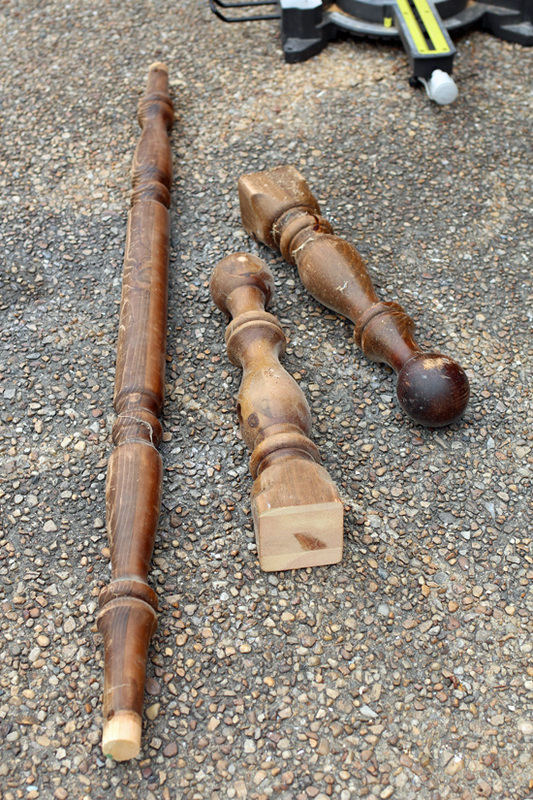 These rounded pieces are what made me think it would be perfect to hold a large dowel. 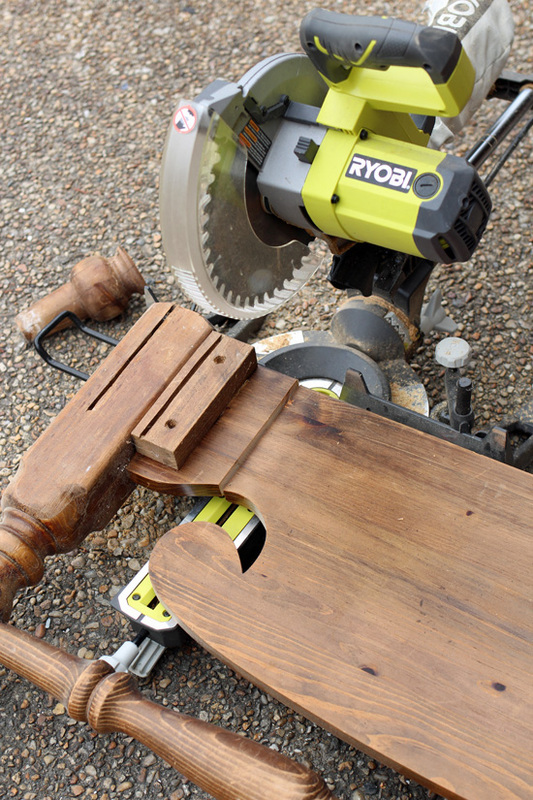 The dowel I used was a freebie I got from an estate sale! So it was all free except for the paint and hanging hardware. I used D-ring hardware on the back to hang it. 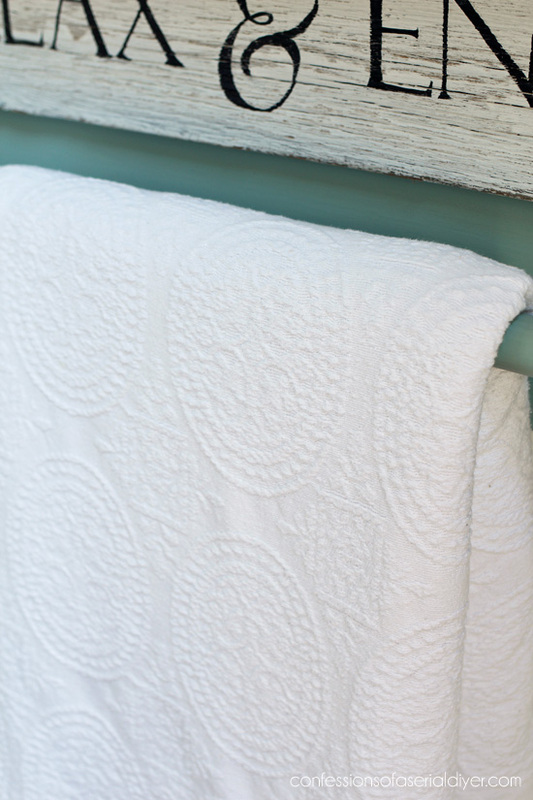 This could be used to display a favorite quilt or just to hold an extra blanket or two to cozy up with. 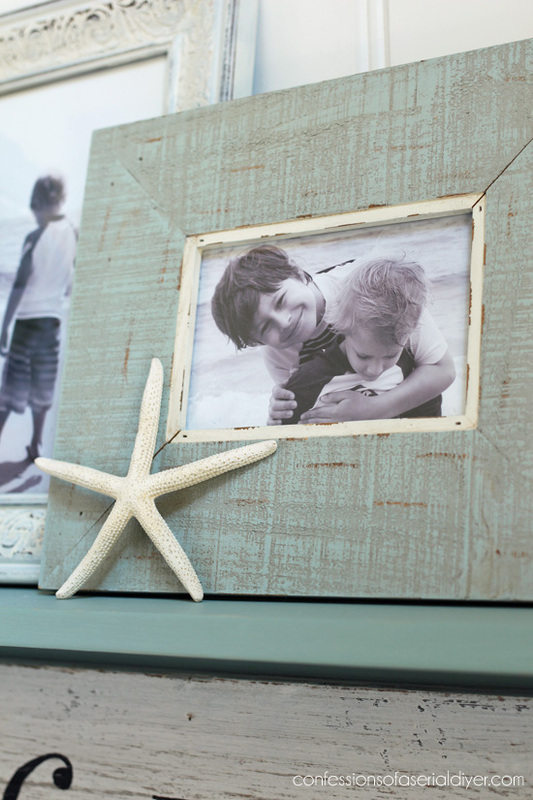 Don’t forget my friends are sharing trash-to-treasure makeovers today too! Check out the afters at the links below the image! 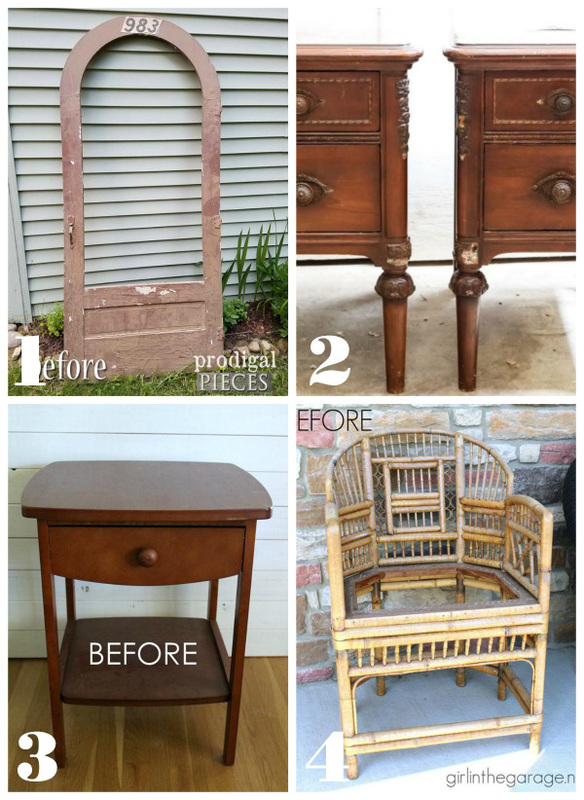 See all of my previous Trash-to-Treasure Tuesday makeovers HERE! 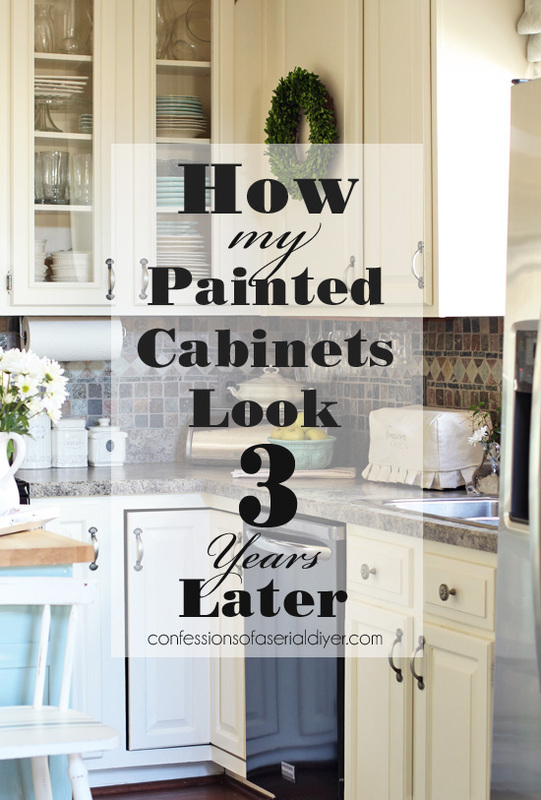 I’ll be back on Thursday sharing how my painted kitchen cabinets have held up after three years! UPDATE: See how my cabinets are looking after three years HERE now! seeing one less in the land fills…keep it up!!! Clever as always!!! AND speaking of awards, treasures and goodies…….WARRIORS WIN!!!!! We in the Bay Area are pretty happy about that!!! I love this!! ahaha! I had to laugh because you kept on cutting, but then nailed it. I have sooo been there, Christy! And I must say you nailed it again. Great job! This is gorgeous, what an original idea! This turned out great. As I was scrolling I was a little in shock you cut it down so much and was wondering what it would be; but love the end result and the color you chose. Sharing today on Entri Ways’ facebook page. Sheer awesomeness! 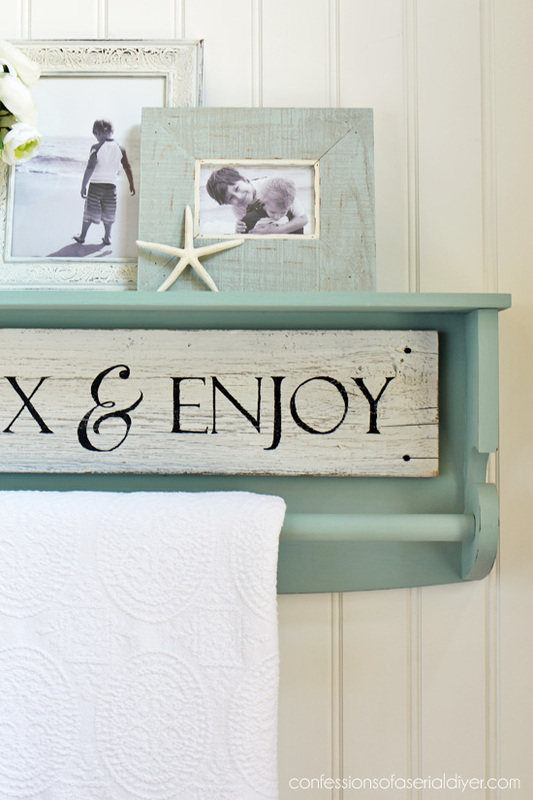 What a fabulous repurpose! Christy this is so awesome and has come at such a great time! 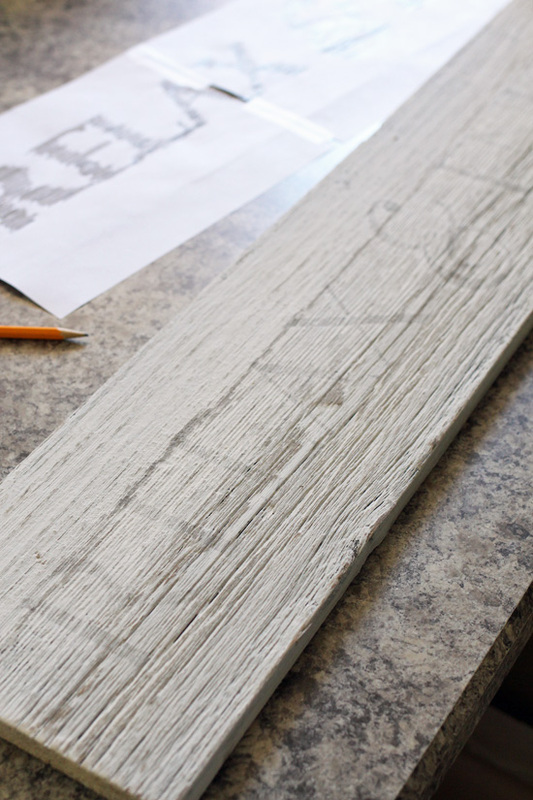 We recently bought a fixer upper (and that’s putting it lightly!) and my bathroom is the last room to be touched. 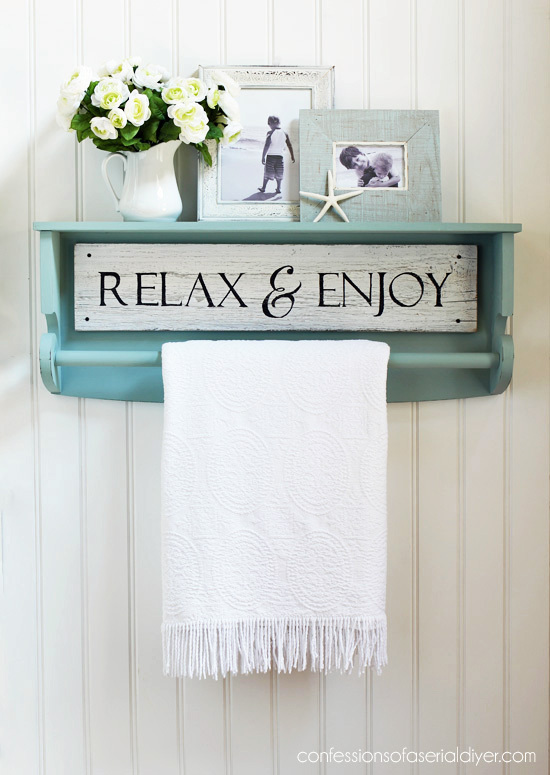 I bought some vintage hooks for towels but needed an idea for mounting them and you just provided that! Instead of a dowel rod, I’ll attach my hooks!! 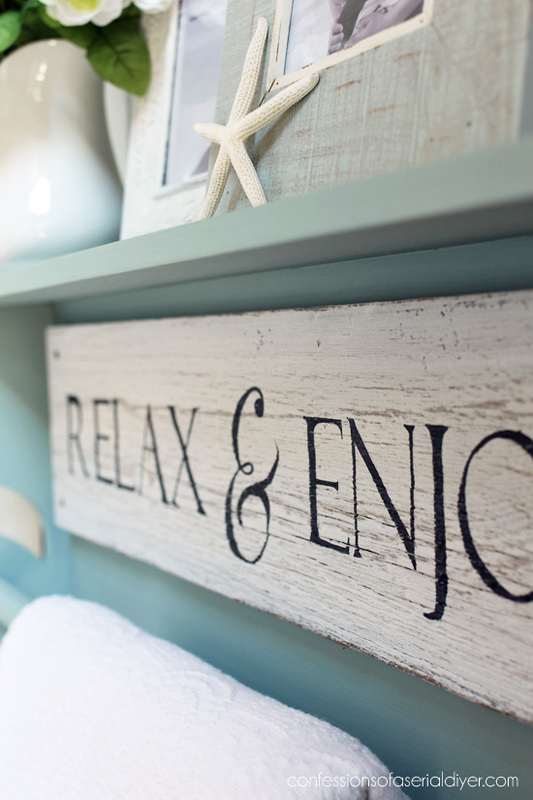 The color is perfect and the shelf on top is just the added touch I was looking for. Thanks so much for sharing!!! That was just pure genius! I am soooo laughing about your jam packed car with the kid I have soooo been there many times ! Lol when he gets older you can just sit in the car and have HIM get out and load your junk into the car! I am guilty of that! Hahaha. I think I made him get out and help when he was about 12. Oh he hated every second of it. Hahaha he is now 23 and out of the house. Now I have helper # 2. She is 16. And I will be breaking in a new sidekick eventually. My grandson will be a year old in July. Lol! Love this project. I have a basic build question. 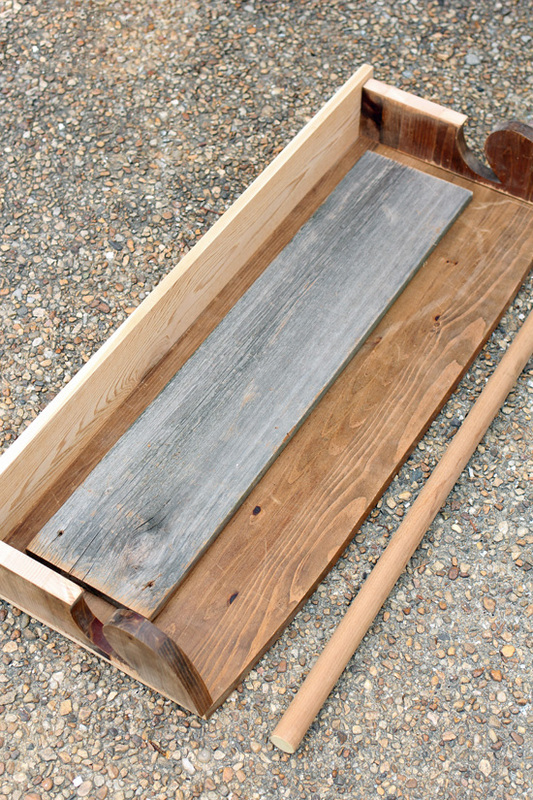 How did you attach the dowel to the sides? 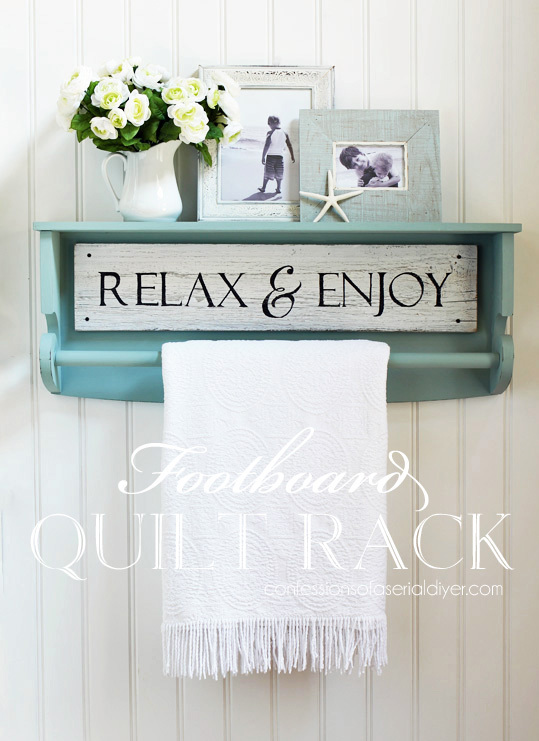 What a great idea to take the ends of the footboard and put them on the sides. Turned out beautiful. This has got to be one of my favorite foot board transformations! I see lots of benches, etc., and while I love those, too, this is so creative! I love how you kept changing your mind as you went along. That’s exactly how I work – so I’m glad to see I’m not the only one! Great job! You always come up with the best repurposes! Love how this turned out. It looks wonderful! 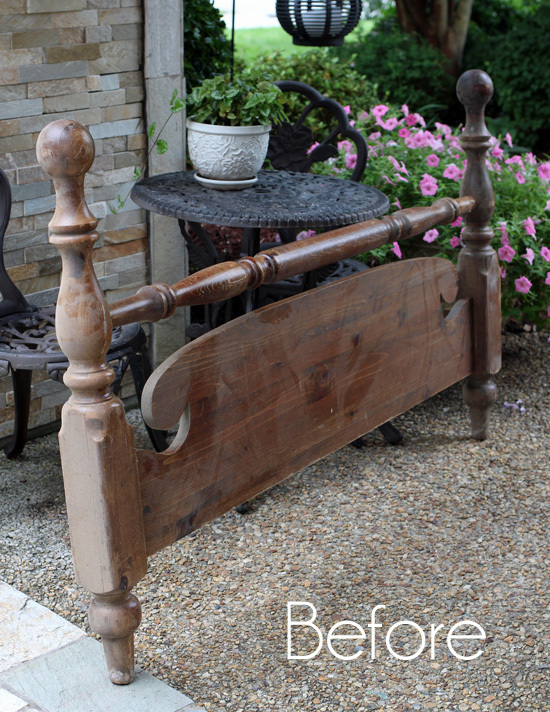 I have to admit I gasped audibly when you hacked the ends off the cut footboard. I should know by now that your reason why would transform into a fabulous upcycle and you didn’t disappoint. 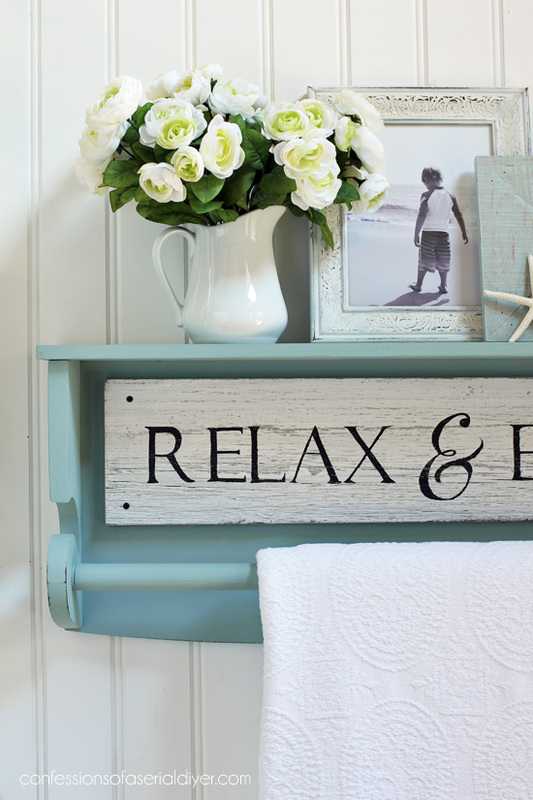 Clever, cute, and functional! What a satisfying ending to an uncertain piece of wood! You never fail to surprise me, Kristy. And it would be nice if I could spell your name correctly, Christy. I guess I got distracted due to the amazing project. Well! How clever is that?! I love it! I never would have come up with that in a million years. Beautiful! 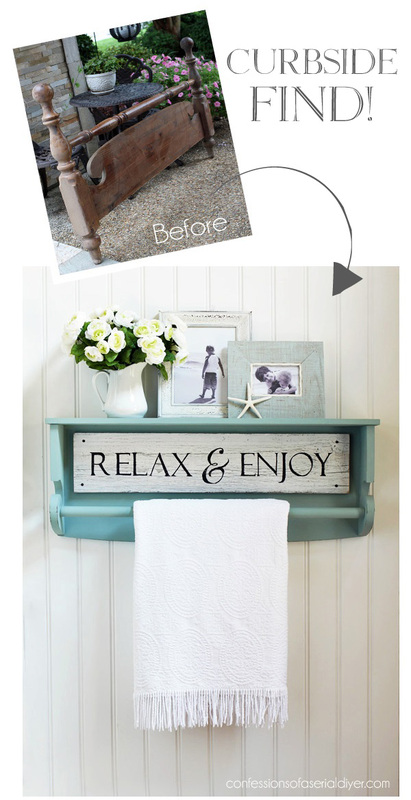 Another creative repurposed makeover – love it Christy! Haha the headboard looks massive in your Instagram pic!! This is a very nice and useful re-do. You always do such a wonderful job and explain your process thoroughly. 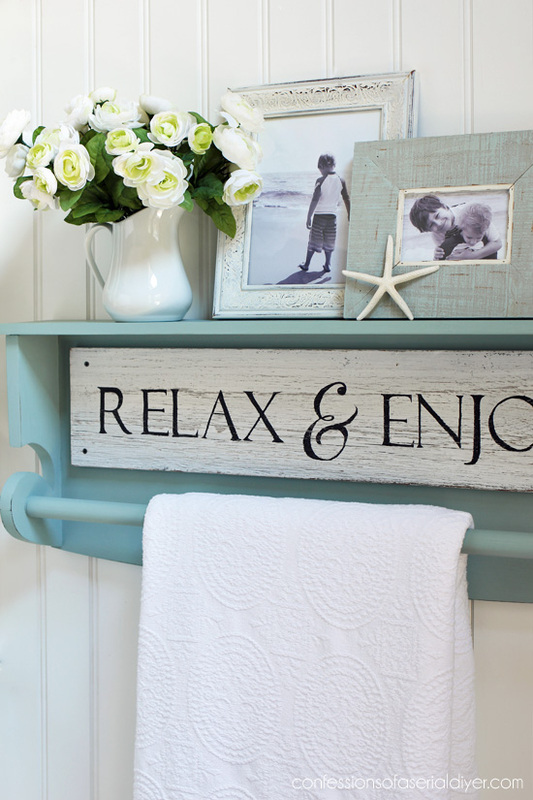 LOVE how you used this piece! It was smart to use the end cutoffs to reshape it. OK, I didn’t see that one coming at all. You are just crazy creative! And how fantastic that the only cost were paint and hardware. Love finished project! Christy – it’s Holly again – this time not fawning all over your amazing work but hoping you don’t mind a quick question. I finally got to Hobby Lobby 🙂 and bought some of those adorable small crystal knobs you use on some of your great jewellery boxes and I was wondering if you cut any of the long metal screw part off? I don’t see much sticking through in your boxes but mine seem really long. 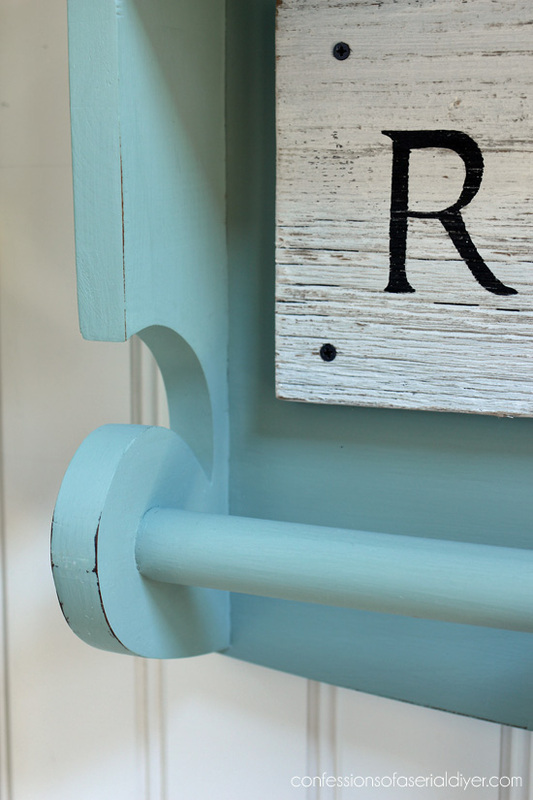 Also, a while ago I followed your link and bought some of that great calcium carbonate and have been making my own chalk paint ever since and it is the best paint I’ve ever worked with! So many many thanks!! You never cease to amaze me with your beautiful trash transformations Christy. Totally love this one!! Thank you for sharing it at Create, Bake, Grow & Gather. 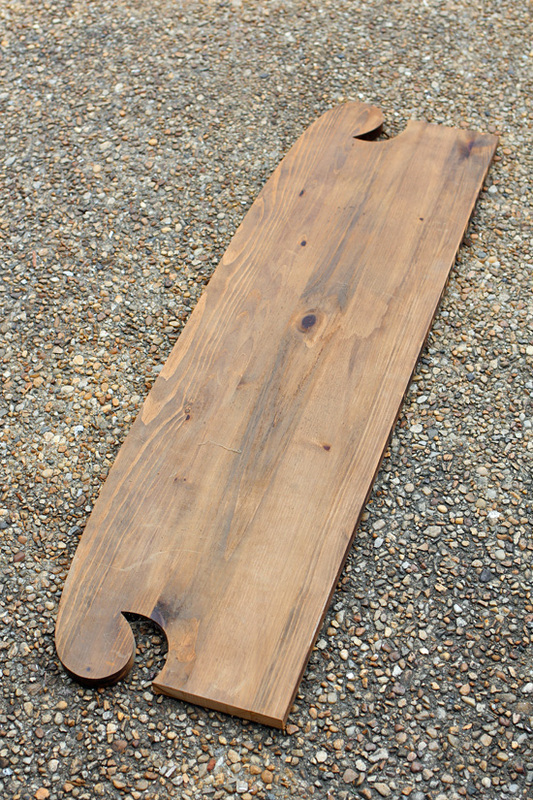 I’m delighted to be featuring it at tonight’s party and pinning to several boards as well.